We design/build xeriscapes and low maintenance, low water landscapes. Drought tolerant landscaping, drought resistant landscaping or xeriscaping as it’s starting to be called, is a popular emerging landscaping trend, especially throughout the Ottawa area. Unless your property is on a well you are most likely hooked up to city water, which as you know isn’t free. Incorporating drought tolerant landscape design into your property will reduce maintenance costs, reduce your water usage and it won’t have to look boring and dull, quite the opposite in fact! Alan’s Landscaping and Heather’s Gardens (ALHG for short!) 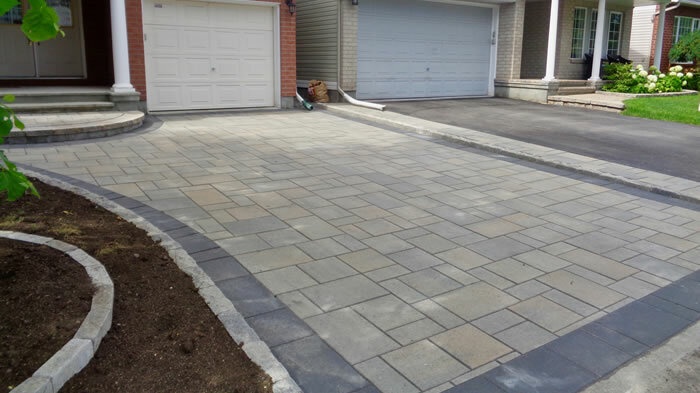 is a family owned and operated landscape design and construction company based out of Ottawa, Ontario. Heather, is our in-house landscape design specialist and she can design gardens or full landscapes and Alan, is the construction brawn that can build Heather’s designs into something real! From something as simple as redesigning your existing garden beds into low maintenance beds to designing a complete xeriscape for your front and back yards, you’ve just found the team can help you bring your landscaping vision for your property to life! One of the keys to a beautiful drought tolerant landscape is an understanding of the local eco-system you are located in so you can incorporate as many native plants and natural items of interest as possible. The Ottawa area is considered a zone 5 climate and we are very familiar with the types of plantings required for our climate. Are you in the process of building a new home on a property you’ve purchased in the Ottawa area? Are you looking at re-doing an existing landscape? Traditional landscapes like lawns and intricate gardens take a substantial amount of water to survive, usually you need an expensive irrigation system or underground sprinkler system. Xeriscapes on the other hand, survive on whatever rainwater falls, eliminating the need to install irrigation. Landscaping with interlocking brick, pavers or even natural stone will definitely cut down on the watering required, aside from a cleaning once every year. Large boulders always make great focal points in any garden as do armour stone rock walls, interlocking brick patios, even outdoor cooking and living areas make for a great place in the backyard to relax and enjoy the outdoor atmosphere. Instead of hard to maintain garden beds, think gravel beds using pea gravel, pebbles, crushed rock or another attractive stone and they can be lined with brick or stone retaining walls or dotted with colorful drought resistant shrubs and trees. The idea behind low maintenance or drought tolerant landscaping is to choose plants, trees, and shrubs that require very little water to survive and require little maintenance such as feeding or pruning. This doesn’t mean your xeriscaped garden will have to be boring though! There is an abundance of colorful plant choices for drought resistant gardens and landscapes, with many of the options being plants that are native to our area of Ontario. 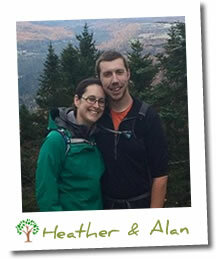 Why Choose Alan and Heather To Design Your New Landscape? When you choose ALHG for your new xeriscape or low maintenance landscape design you are partnering with a small, locally owned, family run landscaping business. With Alan specializing in Construction and Heather specializing in landscape design they are the perfect team to help you transform your property into the envy of your neighborhood. The ALHG team is large enough to design and install xeriscapes of all sizes but we’re still small enough to give your new low maintenance landscape the specific care and attention it needs to actually be low maintenance and make the big impact on your curb appeal that we’ve promised. We believe in providing great service and value along with complete customer satisfaction with every project we complete! We will conduct ourselves like true professionals on your property at all times, leaving no trace behind but your beautiful looking new xeriscape! If you’d like an estimate for our low maintenance landscape or xeriscaping design services please give us a call (343) 262-4769 or fill out our contact form and we’ll get right back to you.